DUNKIRK — Most coaches in the area know that the toughest part of the season’s schedule is when you get into league play. 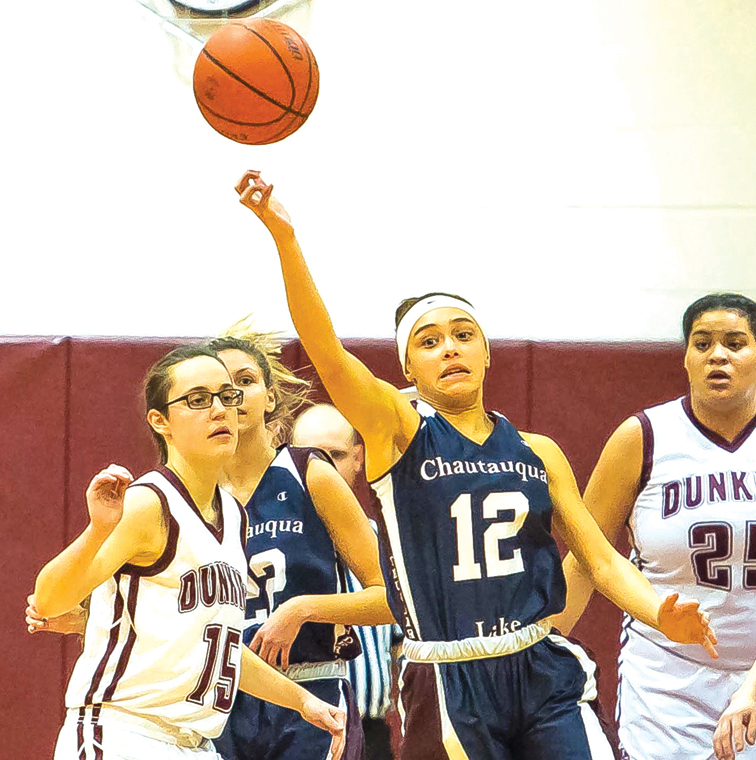 If anything, Monday’s game between Dunkirk and Chautauqua Lake proved it — there are no easy wins in Division 1 West of the Chautauqua-Cattaraugus Athletic Association. 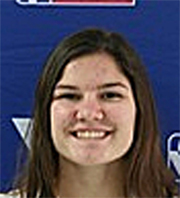 Katelyn Fardink drilled three 3-pointers and scored 18 points while leading the Thunderbirds past the Marauders, 59-54, at Dunkirk High School. Early on in the contest, Dunkirk used its speed to get out in front, scoring a quick six points right out of the gate. After the Thunderbirds got their legs under them and scored a couple baskets, they set up their press, which gave Dunkirk fits for the majority of the first half. Toward the end of the first quarter, Chautauqua Lake’s Fardink sandwiched two 3-pointers between a Laura Alfa 3-pointer, giving the Thunderbirds nine points while pushing the lead to 16-13 after first period. 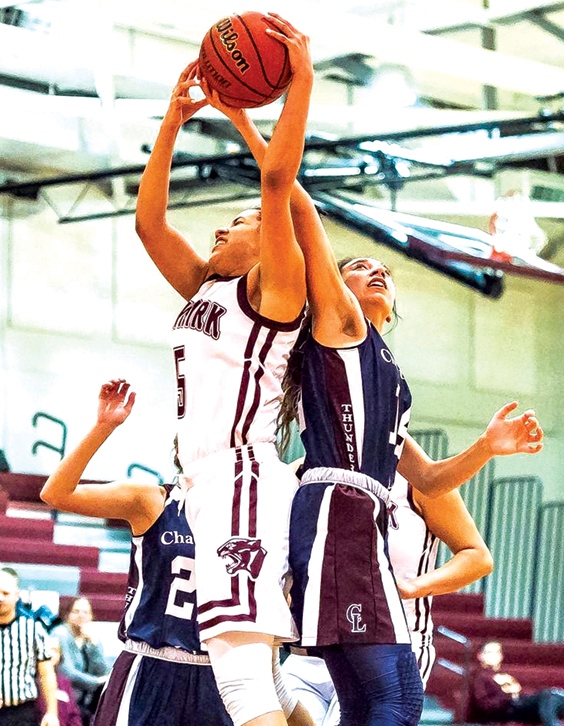 Back and forth they went again in the second quarter, as Dunkirk’s Nadara Odell and Amari Carter got buckets in close to make the score 24-20 in favor of Chautauqua Lake. More drama ensued at the end of the half, as Dunkirk’s Olivia Smith hit a 3-pointer with four seconds left to supposedly cut the Marauders’ deficit to one point. However, Fardink answered at the buzzer, drilling a 25-foot shot to put the Thunderbirds up 29-25 at the half. Fardink nailed three 3-pointers in the first half, and was disrupting the Dunkirk zone all night. As the third quarter got underway, one of the major problems for Dunkirk all night popped up again — turnovers. The Marauders’ turnovers led to easy baskets by Chautauqua Lake captains Lily Woodis and Abigail Henry. The Thunderbirds were able to push the lead to as many as seven points in the third quarter. After taking the 44-39 lead into the fourth quarter, the Thunderbirds began to see their lead slip away. As the quarter went on Dunkirk’s Kymi Nance scored six straight Dunkirk points then found Odell for a layup to cut the lead to 54-52 with two minutes remaining. Two Jessica Beehler free throws tied it up, but Fardink was able to grab a single free throw to push the lead to 55-54 with under a minute to play. That’s when Dunkirk’s other problem came about — free throws. The Marauders went 2 of 14 down the stretch at the free throw line, missing six straight with a chance to tie it up and take the lead. They finished 11 of 34 from the free throw line. A Rebecca Henry basket and two more Fardink free throws iced the game down the stretch for the Thunderbirds. For Dunkirk (8-3, 0-2), it has now lost three straight heading into the toughest part of its league schedule. The Thunderbirds (8-3, 1-1), snapped their small two-game skid, and will continue their league schedule against Olean on Thursday. AHenry 5 3 13, Fardink 6 3 18, Phelps 0 0 0, Jacobson 3 0 7, Woodis 4 3 11, Alfa 1 0 3, RHenry 1 3 5, Perdue 1 0 2. Totals 21 12 59. Odell 9 1 19, Beehler 3 4 11, Nance 4 3 11, Smith 2 0 6, Carter 2 0 4, Porter 0 2 2, Garcia 0 1 1. Totals 20 11 54. 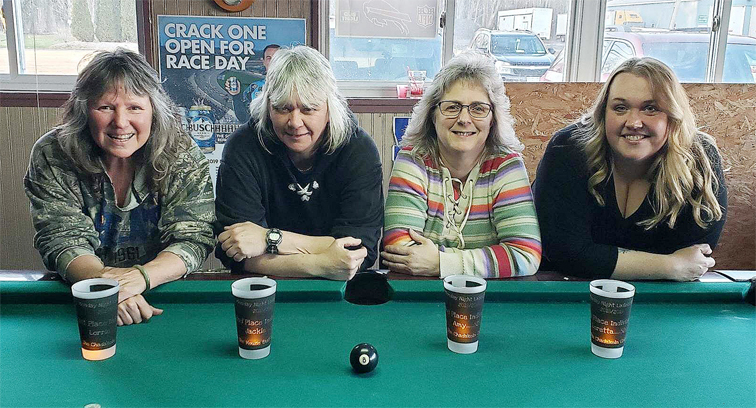 3-point goals–Fardink 3, Jacobson, Alfa, Smith 2, Beehler.